This projects concerns land surface albedo retrieval. The geostationary surface albedo (GSA) algorithm, jointly developed at EUMETSAT and JRC, has been proposed for the generation of this dataset. 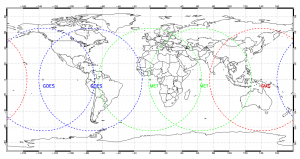 GSA can ingest imagery acquired by five geostationary satellites—Geostationary Operational Environmental Satellite (GOES): two orbits over the American continents/Pacific region, Meteosat: two orbits over Europe/Africa and the Indian Ocean, GMS: one orbit over East Asia and Oceania—to retrieve land surface albedo for the entire Earth, except for the poles. The project aims at the usage of unify the calibration method, re-analysis data (from ECMWF) and cloud screening approach in order to generate space and time homogeneous dataset. 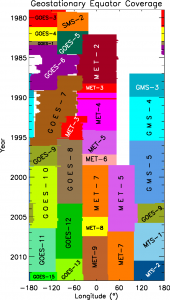 ALBEDOVAL: Meteosat First Generation (1982-2010): the analysis focused mainly on four aspects: assessment of the uncertainties, temporal consistency, validation against in-situ measurements and inter-comparison with other satellite products. 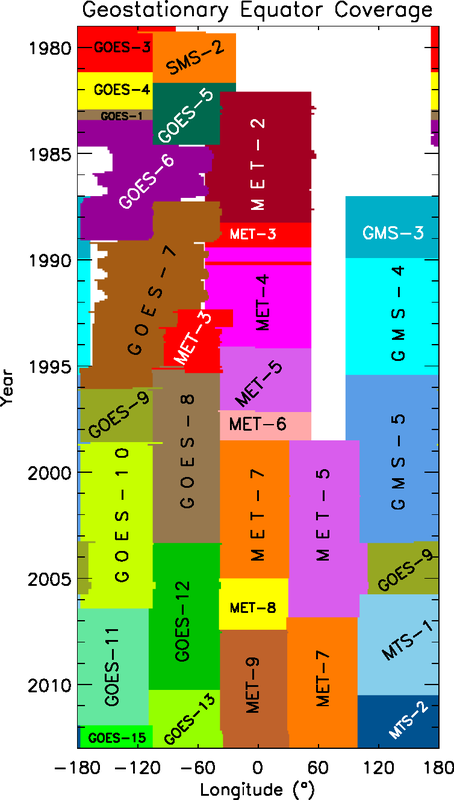 ALBEDOVAL2: Meteosat First Generation (1982-2010): Generation of an online selection of validation sites. An assessment of the MSA-retrieved anisotropy characterisation. Assessment of retrieval over snow. 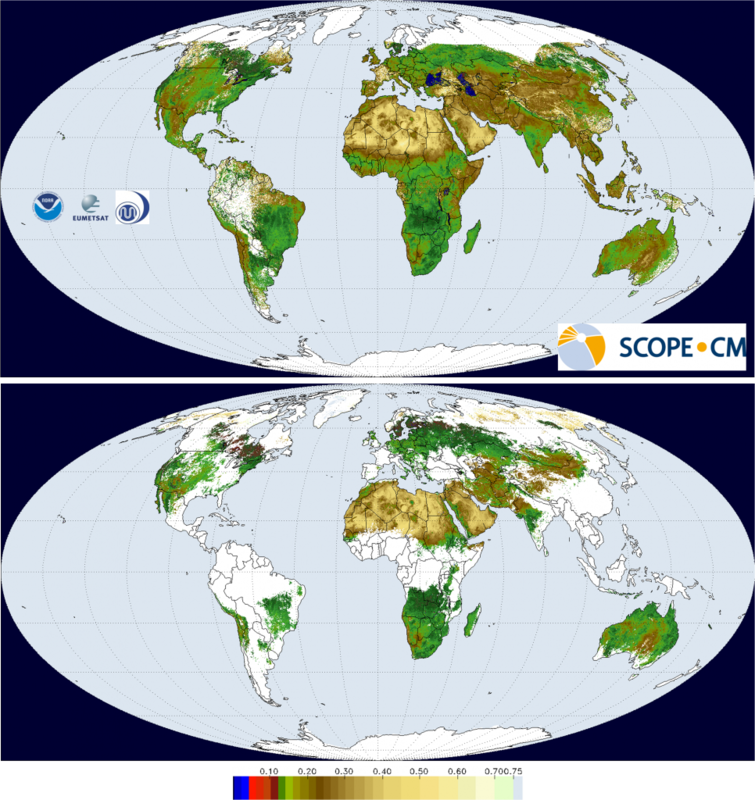 A comparison with the AVHRR-based GLASS surface albedo has been performed for the pre-MODIS era prior to the year 2000. Surface Albedo Validation Sites (SAVS): it provides a comprehensive inventory of more than 2000 potential surface albedo validation sites. Left panel: Spatial coverage achievable using a ring of Geostationary satellites. The limit in latitude is around 65 degrees both north and south hemisphere. Right panel: Temporal coverage achievable exploiting Geostationary satellites from EUMETSAT, NOAA and JMA. Apart from a small gap around 60 degrees longitudes, the coverage is spanning from the 1980s to the present.